Park Forest, IL–(ENEWSPF)–July 30, 2016. 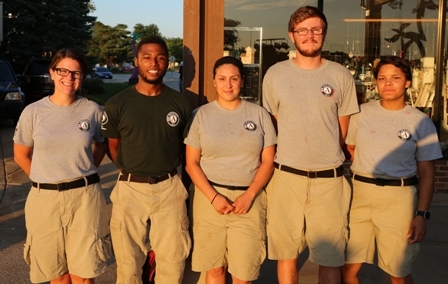 Last week, Park Forest welcomed ten volunteers from AmeriCorps National Civilian Community Corps (NCCCA) for a six week stay. The group will be tackling numerous service projects around town, including working at the Central Park Wetlands, various community gardens, and on bike trail projects. 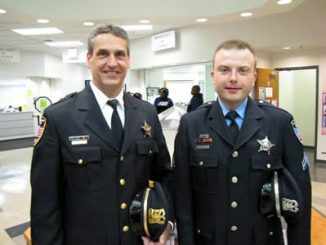 The group, who’ve taken up temporary living quarters at a home owned by St. Irenaeus Church on Indianwood Boulevard has committed to providing Park Forest with 40 hours of service per week. The group plans to closeout their 10-week stay with a large-scale volunteer drive, slated for the last weekend in August, aimed at introducing residents to scores of area organizations in need of residents willing to serve.